A sleuth in the distant future works a case involving an actress proclaiming her innocence—despite security footage that shows she killed her husband—in this sci-fi mystery. The world may have mastered light-speed travel and befriended alien species, but old-fashioned private investigators still prove necessary. 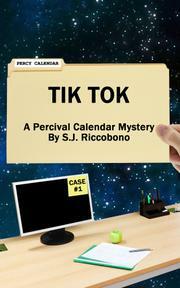 Percival “Percy” Calendar is hired by Dakamon of Scla, whose client and friend, movie star Audry Parsons, is a murder suspect. Cops’ evidence against her is overwhelming: her home security system captured Audry beating her husband, Roger Gavin, to death with a golf club. Audry says it’s not her, but the sophisticated system can’t be fooled by a look-alike imposter—for example, a clone of the celebrity committing the murder. Percy scours the galactic quadrant for Audry’s potential enemies, including a rival actress and her ex-manager. But his probe soon uncovers a possible link to another case: Jack Layman’s serving a life sentence for killing his wife, but he continues to point the finger at their household android. If someone’s developed tech that can trick security cameras, it won’t be easy for Percy to prove Audry’s innocence. A killer may even be tempted to frame the detective for murder—or target him for death. Despite an expansive plot that takes the private eye to various planets, Riccobono’s (Is There A Medic in the House?, 2017, etc.) novel is a time-honored detective story. Occasionally cynical Percy, for one, drops memorable quips, like his response to Dakamon’s acknowledgement that the damning evidence looks bad: “No, an intergalactic war looks bad. This is worse.” Characters, however, are also well-developed, particularly Percy’s stepdaughter and homicide officer, Cryllin, whom the PI raised after her mother died. Copious interrogations beget a dialogue-heavy narrative; descriptions are short but comprehensive, though sometimes sparse (perhaps a few specifics on sonic handcuffs?). But it’s hard not to admire a private eye who refuses to give up, notwithstanding his client’s belief that the investigation has run its course. Traditional genre trademarks and a stellar backdrop invigorate this tale, the first in a series featuring the whip-smart gumshoe.